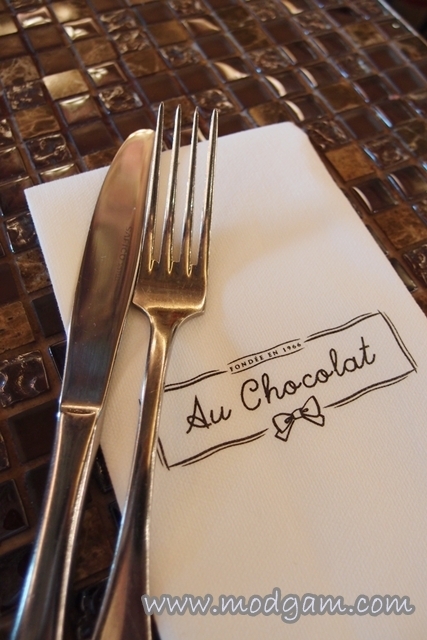 Occupying a huge space at the corner of Marina Bay Sands is the beautiful Au Chocolat bistro. 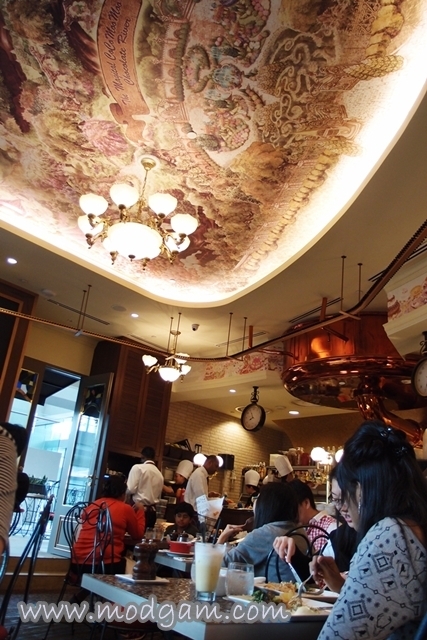 The French-inspired bistro is divided into two areas; a retail store filled with yummy snacks and souvenirs and the other an all day dining experience. This place is so beautiful it felt as though I was really dining in one of the cafe in Paris. It was hard deciding what to eat for everything on the menu looks tempting. Just looking at all the pictures now makes me hungry all over again. Truffle fries S$15.00 – I am a sucker for truffle fries and when they came in the form of paper wraps, I’M SOLD! 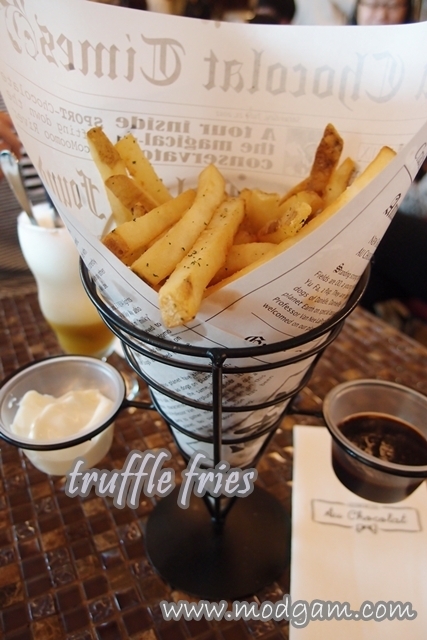 I swear every table ordered at least one truffle fries for the whole of Au Chocolat was filled with the truffle scent. YUMMY! Pineapple Pleasure S$12.00 – very interesting, tangy and invigorating! This concoction is a mixture of white chocolate and pineapples! 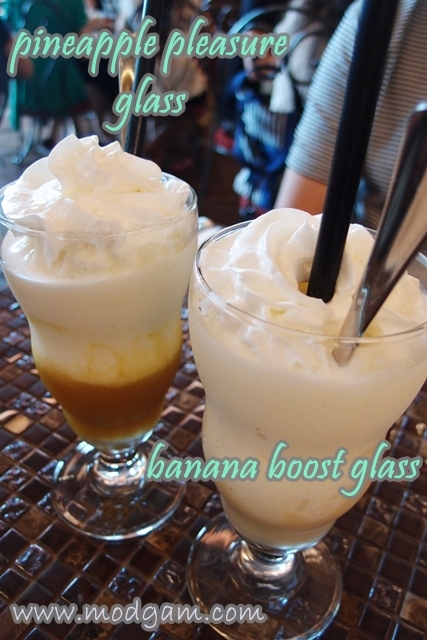 Banana Boost S$12.00 – Rich and creamy and I never knew white chocolate and banana blends in so nicely. 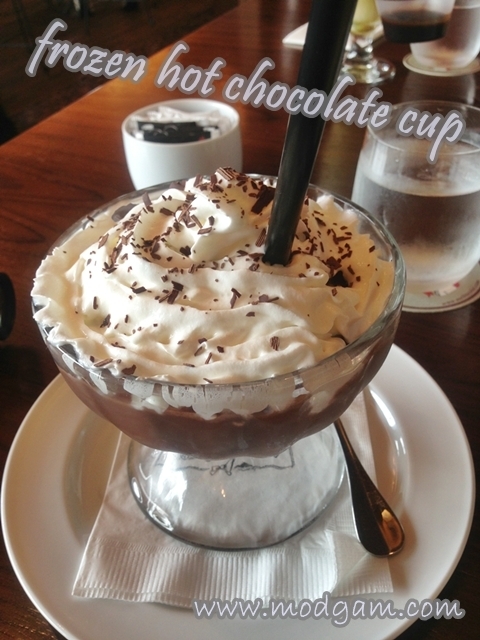 Au Chocolat frozen hot chocolate S$12.00 – for all chocolate lovers!! Rich and creamy chocolate fudge topped with whipped cream and chocolate shavings! 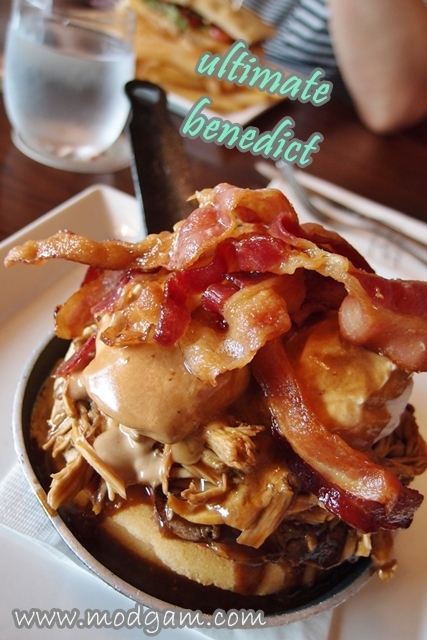 Ultimate Benedict S$22.00 – hot and fluffy pancakes topped with sauteed spinach, tomatoes, crispy bacon, roasted ribeye steak, roasted chicken and 2 poached eggs. I love the generous red wine and dark chocolate infused hollandaise sauce. 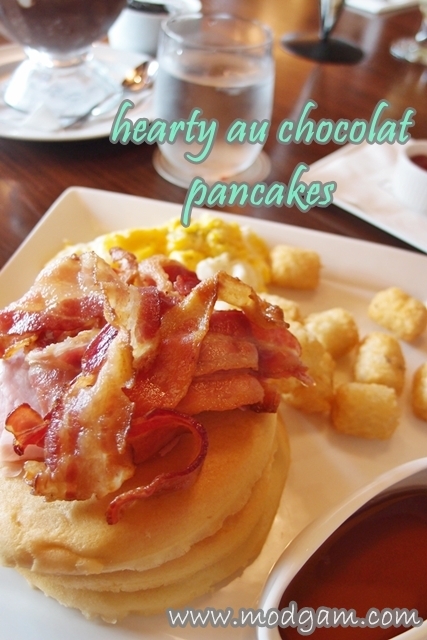 Hearty au chocolat pancakes S$20.00 – fluffy pancakes stuffed with crispy bacon and sliced ham served with hashbrowns and scrambled eggs. Yums. wow, i’m almost speechless. 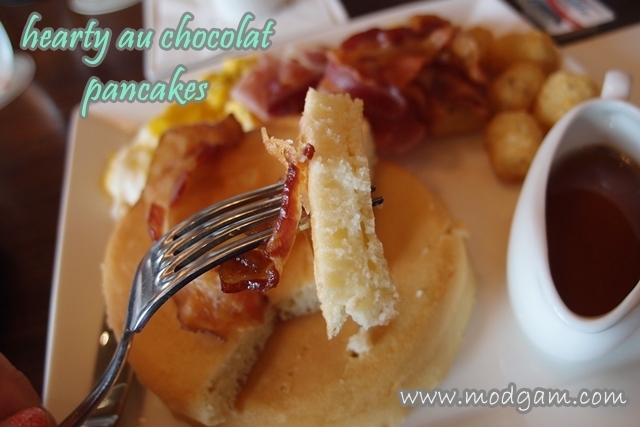 everything on this post looks heavenly delicious, mag! Hahaaaa lemons, thats makes the both of us! I can still smell those truffle oild off the fries…. 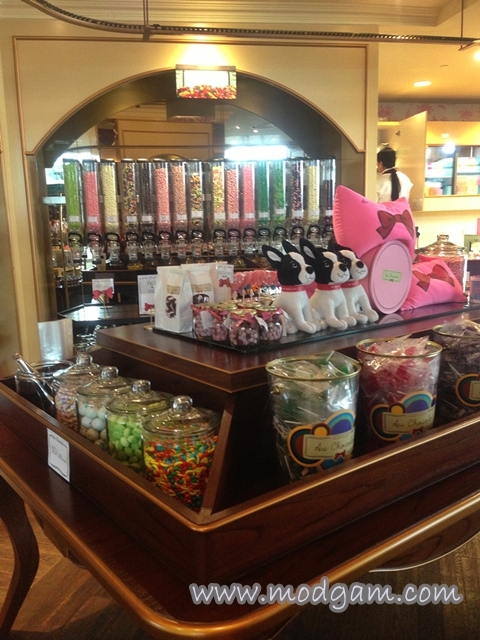 Drooling away with ya!